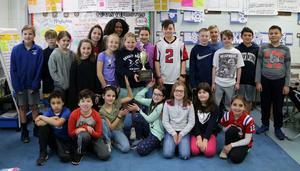 “You are ambassadors of kindness and respect,” said Wilson principal Joseph Malanga at the closing ceremony for the Month of Hope on Feb. 1 where, as part of a full assembly agenda, he recognized 20 students he had quietly observed doing something kind. 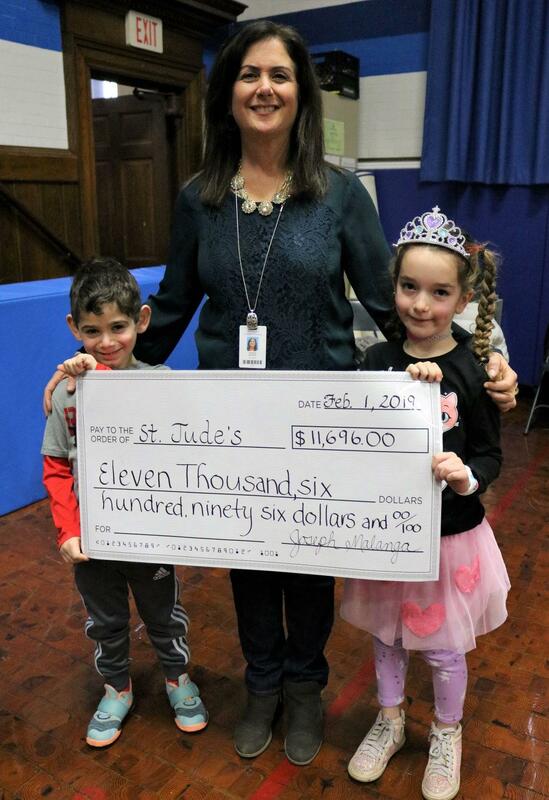 Each week during the Month of Hope in January, Wilson students, parents, and staff focused on a particular need, collecting gently used sports equipments one week, non-perishable food items another, making sandwiches for St. Joseph Social Service Center in Elizabeth, gathering pet food and treats for abandoned animals at the Linden Animal Shelter, and raising $11,696 for St. Jude Children’s Research Hospital. 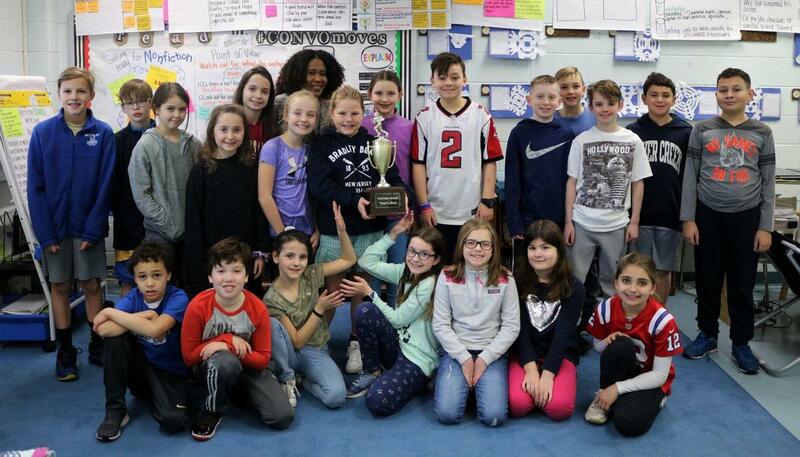 Fourth graders in Branice Moore’s class at McKinley were Soup-er Bowl champions, collecting 388 non-perishable food items while the entire school community collected 3,465 food items -- on average 10 items per student -- for a local food pantry. “McKinley loves participating in this food drive because we get to help others,” says principal Marc Biunno. 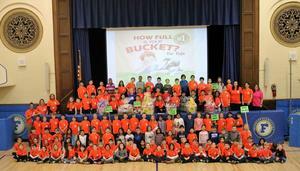 Jefferson School kicked off The Great Kindness Challenge with an assembly focusing on the 6 Pillars of Character -- trustworthiness, respect, responsibility, fairness, caring, and citizenship. 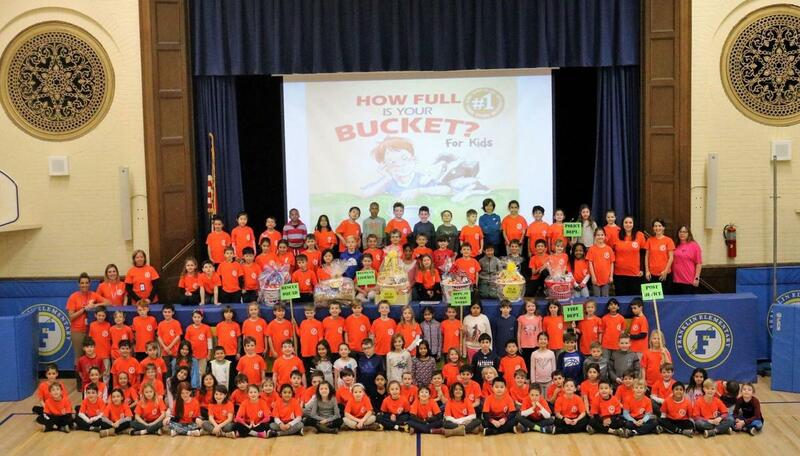 At Franklin School, which has participated in the kindness challenge for the past several years, 2nd graders created themed baskets for Westfield’s first responders and other public service providers as part of grade level kindness activities. Tamaques teachers are conducting individual lessons on kindness as the school prepares to kick off its 2019 Reading Marathon this month, having raised $17,046 last year for families in need. Washington School and others are celebrating the 100th day of school by partnering with volunteers at “Connect for Community,” a program created to demonstrate to children what 100 cents can buy. The Good Vibes Tribe at Edison Intermediate School recently made 1,000 origami peace cranes for Children’s Specialized Hospital while visitors to Roosevelt Intermediate School were greeted by a large bulletin board declaring such Random Acts of Kindness as “invite someone new to sit at your lunch table,” “give a classmate a pencil or pen,” and “let someone go ahead of you in line.” Members of the RIS Looming our Love (LOL) Club met to loom and knit caps for babies and adults in cancer units at Valley Hospital in Ridgewood. 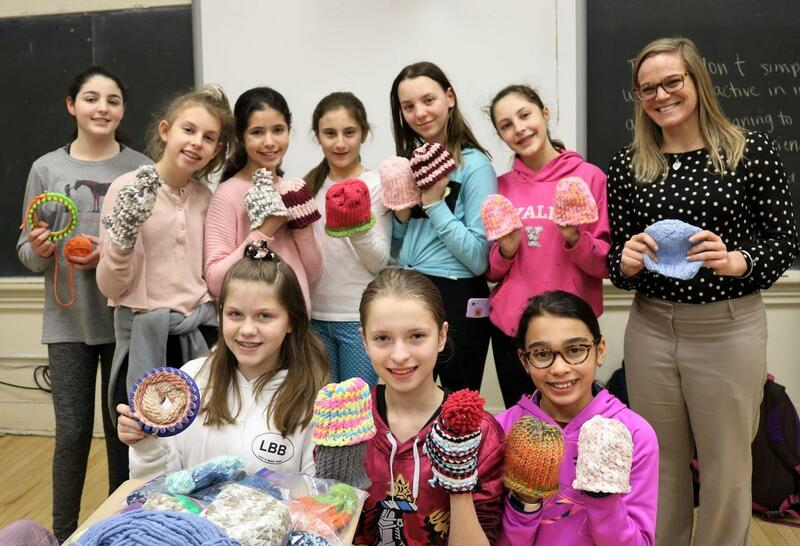 “The club made a goal to donate 200 hats this year and we’ve already made over 120,” said LOL Club advisor Carine Helwig in mid-January. The Community Service Club, Baking a Difference, Operation Smile and other service-oriented clubs at Westfield High School raise money and awareness year-round. In March, Westfield Public Schools will observe its 2nd Annual Community Service Day, a districtwide coordinated effort organized by school Parent Teacher Organizations (PTOs) where families take part in planned activities in support of homeless shelters, fighting hunger campaigns, senior citizens, rescue animal organizations and others in need of charitable help.